You have added Caitlin Crochet Lace Pencil Dress in Red into shopping cart. 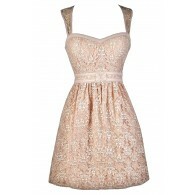 The crochet lace fabric of this dress makes it sweet while the fitted pencil cut makes it flirty! The Caitlin Crochet Lace Pencil Dress is lined to the mid-thigh, but is semi-sheer at the bottom hem as well as at the trim at the bust. 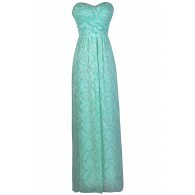 It has a V neckline, empire waist, and a fitted pencil cut with a longer midi length. Adjustable spaghetti straps allow you to control the fit. An exposed back zipper completes this look. The Caitlin Crochet Lace Pencil Dress is perfect for your next cocktail party. Pair it with beige pumps for a chic look. Details: Lined to mid-thigh. Exposed back zipper. Adjustable spaghetti straps. 100% polyester. Hand wash cold water separately. Color will bleed. No bleach. Hang to dry. Small measurements: Length from top of bust to hemline: 34". Bust: 32". You have added Caitlin Crochet Lace Pencil Dress in Red into Wishlist. You have added Caitlin Crochet Lace Pencil Dress in Red for Stock Notification. You have set Caitlin Crochet Lace Pencil Dress in Red as a loved product. You have removed Caitlin Crochet Lace Pencil Dress in Red as a loved product.